My favorite color for a good amount of time now has been purple. My room is purple, my coat is purple, my backpack is purple, my keyboard cover is purple, my bed is purple, and I have a growing collection of purple clothing. Take this blazer from J. Crew for example! I've found it handy lately, as it adds the perfect amount of class to an outfit for an interview. It also goes well with my room. These pictures were taken indoors in my room since it's just too cold outside. 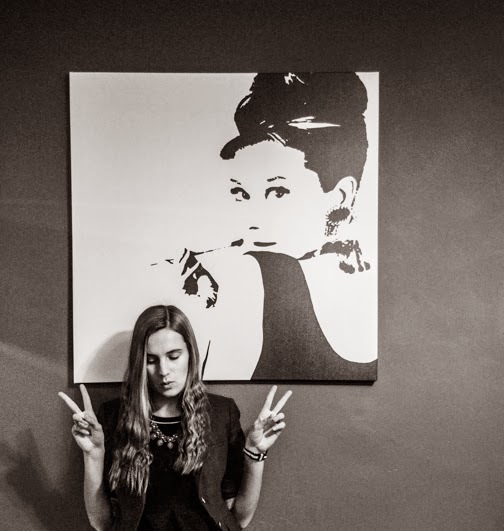 That poster/picture thing I've got hanging is Audrey Hepburn--whose style I admire--and whose movies are really quite fantastic. I haven't seen many old movies, but from what I have seen, I know enough about Audrey Hepburn to know she was one awesome lady. Ah I've been having trouble taking pictures outside too, it's just so cold! 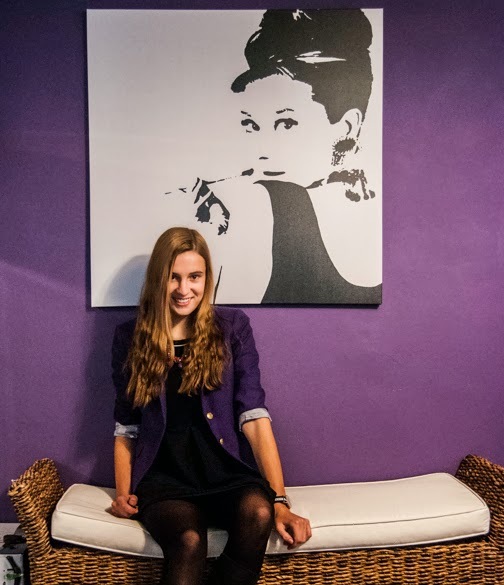 I love how these turned out, the purple wall and the painting are a great backdrop for that amazing jcrew blazer! 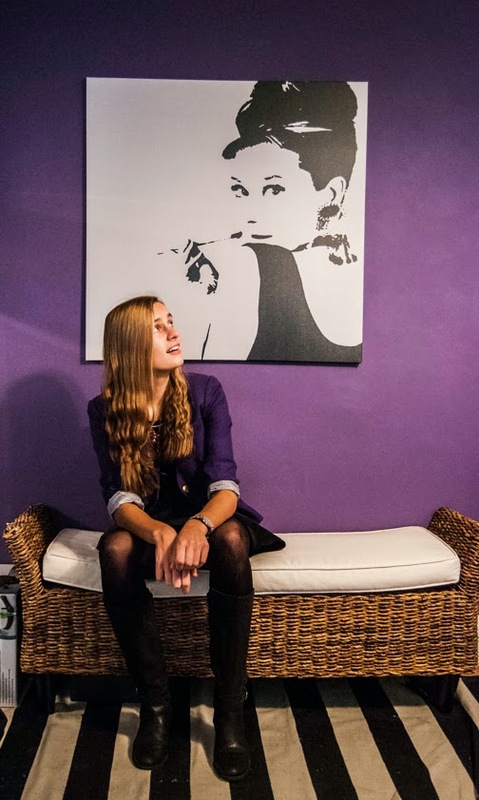 Yeaaaah, I wish my room color was a cool color to take pictures indoors in...haha, this purple wall with the b&w print of Audrey really pop so pleasantly!